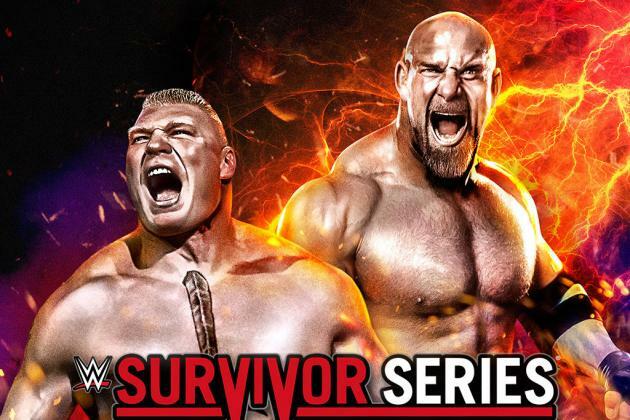 Turnbuckle Radio hosts Trevor Robb and Brian Swane give their official thoughts and predictions on tonight’s WWE Survivor Series event, including the “Mega Match” between Brock Lesnar and Goldberg. In the wake of what was an undeniably fantastic NXT TakeOver event on Saturday the pressure is on the main roster to step up and steal the show, so to speak. With SmackDown and RAW bragging rights on the line, as well as the Intercontinental Championship and the Cruiserweight Division hanging in the balance, stakes couldn’t be higher — they say. Tags: 780 Sports, AJ Styles, Bray Wyatt, Brock Lesnar, Chris Jericho, Daniel Bryan, Dean Ambrose, Dolph Ziggler, Edmonton, randy orton, Seth Rollins, Turnbuckle Radio, Wrestlemania, WWE, WWE NXT, WWE Raw, WWE SmackDown. Bookmark the permalink.